Another month goes by and Labour’s polling position remains dire with no respite in sight. For a new ICM poll for the Sunday Telegraph just being reported suggests that there’s been little change between the main parties since the last survey from the firm in the Guardian a week and a half ago. Both Labour and the Tories are down two with the Lib Dems up three. You now have to go back to December 2008 before you find an ICM poll where the Tories did not have a double digit lead. The current 17 point gap equals the second highest on record. What will be very disappointing to Labour is that their ongoing attacks on the Tories for their alleged links with “far right parties” in the EU don’t seem to be having any impact. This has been just about their only line in the past fortnight and so far, at least, it has not benefited them in the polls. To many in the Labour party ICM is seen as the gold standard because it has been round for so long using the same methodology and has a good track record. That will add to the worries. The Lib Dems will be pleased that they are back over 20% and not too far behind Brown’s Labour. We’ve said it before, I know, but you just wonder how bad it has to get for Labour before there is any thought of a leadership change? Betting on the polls. PaddyPower have a market on what will be Labour’s best polling position in November. I’ve plumped for the 11-156% deficit segment. As we get closer to election day there will be a lot more focus on the betting so I’ve decided to run regular round-ups of the key markets. I’ve tried to ensure that all prices are correct at time of writing but please check before you bet. Please use the links: PB gets a small affiliate fee for accounts opened through the site and this goes towards our costs. So if you are opening an account for politics or any other betting then please use the links here. Many thanks. David Herdson assesses some of the options? Nearly eight years after the Laeken Summit kickstarted the process, thereâ€™s a good chance that the final hurdles to ratification of the Lisbon Treaty could be overcome next week, leading to the treaty coming into force on December 1. In Britain, that will throw the spotlight onto the Tories, whose policy on Lisbon will expire with the completion of the ratification process. The current policy of a referendum is one which is widely supported by Conservatives, who are overwhelmingly opposed to the introduction and therefore found both the means and the ends of such a process attractive. We know that one policy will be to introduce legislation to put future treaties to a popular vote but thatâ€™s not much of a headline grabber. What then are the options open to Cameron and Hague to set the agenda and what effect might they have if introduced? Referendum 1 – In or Out When Lisbon was still under discussion, the Lib Dems put this forward as an alternative to a specific Lisbon vote. Proponents then suggested that it would renew the popular mandate for the EU as it is now; in reality, itâ€™s more likely that many voters would feel cheated at not having some middle option. In addition, it would unite the Lib Dems and Labour, divide the Tories and give UKIP a tremendous boost (which Clegg of course knew when he proposed it). The Conservatives would be mad to go for it. 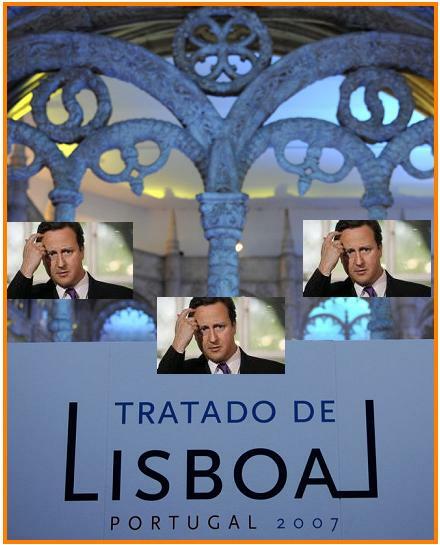 Referendum 2 – A Lisbon Proxy The Lisbon referendum was meant to derail ratification and to establish a precedent. In a wider sense however, it would also have set a benchmark of public scepticism towards the EU which the government could have used in future negotiations. That could also be achieved by a referendum on (for example) entry into the Euro. Additionally, that topic could cause internal difficulties for Labour and the Lib Dems whereas the Conservatives would be close to wholly united. However, such a policy runs the risk of being too clever by half. Unlike Lisbon, it would be difficult to explain to voters why a vote was being proposed on something the government didnâ€™t want. UKIP would ask why the referendum wasnâ€™t the â€˜In or Outâ€™ option. Critics would also complain about the cost, that it was a distraction and that it proved their points about the Toriesâ€™ obsession about Europe. Thereâ€™s also the outside chance that the Yes side might win. All in all, it shouldnâ€™t happen. The Positive Vision This option accepts that the Lisbon debate is over and lost and aims to grab hold of where the EU goes next. In it, Cameron would have to set out a vision of what the Conservatives would like to see the EU doing (and not doing), and challenge the people of Europe to make it happen. It would be a direct appeal over the European establishment, rejecting their integrationist agenda and arguing for improved rather than increased activity. For effect, it would need to be backed up by specific proposals e.g. to repeal named policies, directives and regulations; to cut the EU budget. Itâ€™s certainly something the Conservatives could rally around and for which thereâ€™d be support beyond the party and outside the country. Sceptics would argue that it would never be successful and if that proved to be the case, Cameron would be accused of being naÃ¯ve. Demand the rebate back Thatcher won it; Blair gave it back. Itâ€™s an appealing argument for the Conservatives to put to the British people. However, beyond that lies trouble. If the EU members agree, substantial concessions would be needed in return, especially in terms of cooperation; if it failed, not only would that be damaging to those involved but it would require yet another policy shift. In addition, the British contribution is a significant lever available to the government in negotiations: money is power. Aim to Negotiate more opt-outs Other countries are winning additional opt-outs, though thatâ€™s easier when most EU leaders are desperate to get Lisbon in as soon as possible and will concede much to achieve it. Negotiating without such a prize on offer will be harder, especially if those opt-outs (e.g. on the Social Chapter), potentially give the UK a competitive advantage. Such a policy would reinforce Britainâ€™s semi-detached status from the EU and would make it harder to control its direction. Even so, that might be considered a price worth if the concessions are big enough. Propose Democracy for the EU Again, accept that Lisbon is a done deal but argue that much of the scepticism towards the EU derives from the remoteness of the institutions and the lack of control people have over them. A proposal to elect the Commission from and by the Parliament, and elect the Council President directly across the entire EU would massively increase accountability. Such a proposal would of course be hated by both Eurocrats and heads of government on one side (because of their loss of control), and Eurosceptics on the other (because of the increased legitimacy, and hence power, it would bring). For that reason, it would be a high-risk policy but if the dangers could be avoided, could prove a useful bargaining chip. There are of course other possible options and some, though not all, of those above are mutually exclusive. How Cameron plays it will be one of his bigger tests over the coming months. If he gets it right, it will look ever more like he has the keys to Number Ten in his pocket; if not, itâ€™s very much game back on again. PaddyPower: Blair 7/4: Balkenende 11/4: Junker 9/2. Ladbrokes: Blair 9/4: Balkenende 11/4: Junker 5/1. Victor Chandler : Blair 2/1: Balkenende 3/1: Junker 5/1. 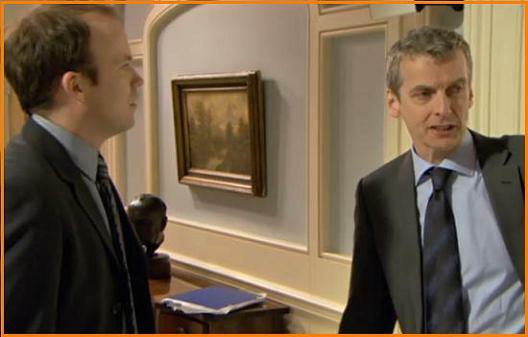 Could “The Thick of It” add to Labour’s woes? Is the new series reinforcing the MacBride damage? Like many PBers, no doubt, I’ll be glued to the TV tomorrow night for the second episode of the much-hyped and much-anticipated new series of “The Thick of It” – this time getting a good Saturday night slot on BBC 2. Since the last series, of course, we’ve had the Damien MacBride scandal which put the focus on the way Brown Central deals with those who it sees as threats. Just look at the negative stories that seem to be coming out about David Miliband which seem to be in direct proportion to the level of speculation that he could soon be Labour leader. So I found myself viewing the first episode in a different light. The whole thing ran true so much more and although engrossed I did not find it as funny as the earlier programmes. With all good drama you can get to a point where you suspend your disbelief and this is what I found happening. I am sure that I wasn’t the only viewer who sees the appalling control-freak Malcolm as a combination of Alistair Campbell and Damian MacBride which reinforces the perception that this is how NuLab does its business. The MacBride affair was one of the worst things to undermine Labour’s ratings this year. Could these programmes magnify the effect? If so then that ain’t going to help Labour’s chances of a recovery. In years gone by the BBC would have pulled such a controversial series in the run-up to an election. Times have changed and it might well just be adding to Brown’s woes. Where does this leave Miliband (D)? Has he helped or hindered his job prospects? The foreign secretary, David Miliband, figures prominently in two current betting markets – that for next leader of the Labour party where he’s the 5/1 second favourite and for the first High Representative of the EU where he’s now been installed as the 3/1 joint favourite. 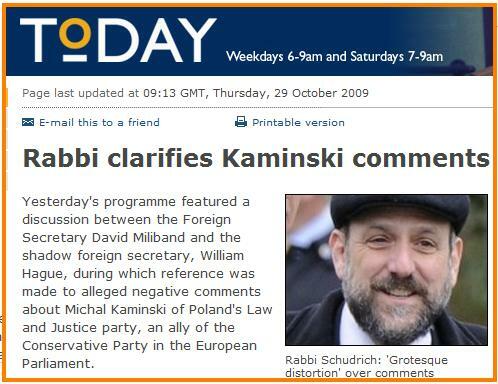 Anybody interested in betting on both might be wise to spend thirteen minutes listening to this item on Radio 4’s Today programme this morning when the Chief Rabbi of Poland was asked to give his views on Michal Kaminski of the country’s Law and Justice party, and leader of the group that the Tories are aligned to in the EU parliament. In the past few weeks Miliband has made attack after attack on the Tories for being lined up with someone whom he said has an anti-Semitic past. The Tory response has been to say that Miliband is wilfully mis-presenting Kaminski’s position and have called for an apology. Today the Polish Chief Rabbi made what will be seen by the Cameron team as comments supporting their position. So where does leave Miliband? Has a he queered his pitch for both possible promotions? My view is that he hasn’t done himself any harm within the Labour movement. He’s kept up an attack and helped sustain his party during a difficult period. The fact that the Polish Chief Rabbi now says what he’s saying won’t make much difference. Where he could find it more difficult in the future is with his relations with the media and if the Today programme is anything to go by then they might be a bit less ready to accept at face value things that he’s saying. As to the big EU role he might just have made himself more enemies. The big problem with Miliband (D) remains – he’s not in the top league of communicators and finds it hard to focus on the big picture rather than the detail. The Tories are vulnerable on their EU partners because they opted not be be part of the mainstream. 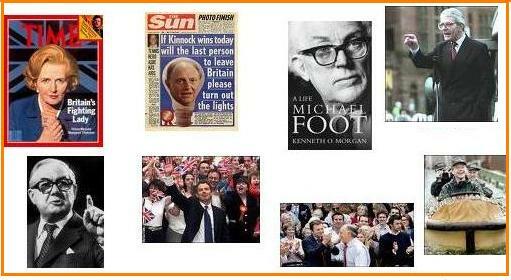 That should have been the Miliband focus – not the Kaminski distraction. What sort of message does this send out? Are we about to have “cut-price” democracy? Oh dear! Oh dear! Can they never get this right? 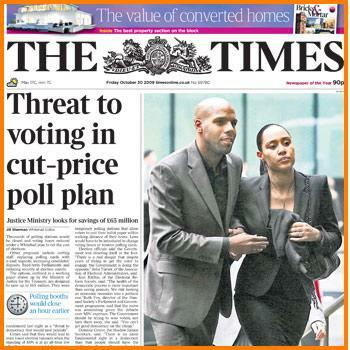 Given current Labour poll ratings in the mid-20s you can understand that ministers are not relishing the coming fight but this morning’s front page lead in the Times sends out all the wrong messages. There are plans to reduce the costs by slashing the number of polling stations and reducing the hours that they stay open. Guess which ones would suffer? Those in rural areas where, as no doubt it will be observed, there are fewer Labour voters. There are also plans make it harder for fringe candidates to stand by increasing the deposit and to abandon the so-called “free-post” arrangement whereby every candidate at a general election is entitled to have one leaflet delivered by the Royal Mail to every voter free of charge. Instead there would be a booklet with contributions from all the candidates where the costs would be shared. The minor parties without established ground organisations – the Greens, UKIP and the BNP – would probably be most hit. Clearly all arrangements should be looked rat egularly and some of these are sensible – but the moment to tinker is not before a crucial general election but immediately afterwards. For anything that Labour proposes is seen in the context of the coming fight and their “form” on things like the much-criticised lax arrangements for postal voting which it forced through and voter registration. The default assumption is that they are trying to gain an advantage. These matters should always be the subject of cross-party consensus – as they were before 1997 – and it has been a massive mistake by ministers to have abandoned that principle. An incoming Tory government is likely to have all sorts of plans to change the system and Labour might find that their go it alone approach while in power will mean that they are left out in the cold when its their turn to be in opposition. Trust in the democratic process is a precious commodity. Lose that and who knows what will happen? Is Brown backing the wrong horse in the EU race? Only hours after Gordon Brown told a Brussels press conference that â€œthere is a general view that Tony Blair is a good candidate and would be an excellent presidentâ€ two new polls suggest that there is little support for the plan from British voters. For although it’s suggested that some progress might be being made with EU leaders the Labour effort isn’t resonating with voters at home. 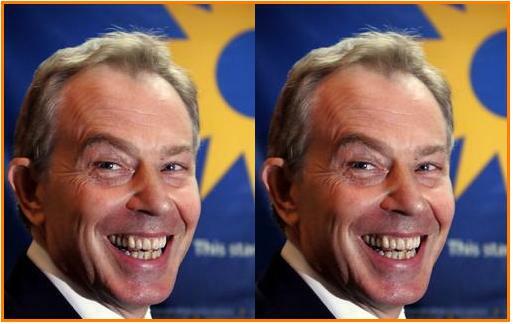 YouGov for the Daily Telegraph found just 31% backing Blair for the job, 31% opposed and 38% say they did not know. This is slightly better for the ex-Labour leader than another poll to be published later. Less than 30% of those questioned in the Politics Home online survey said the they wanted to see Tony as the President against 55% who would “prefer a foreigner” in the role. The two sets of results are a rebuff for the big effort that Labour leaders, particularly David Miliband and Gordon Brown, have made to promote Blair’s bid in the past week. Opponents of the Blair plan have been dismissed by the foreign secretary as somehow being “unpatriotic”. In the betting Blair remains the firm favourite. With PaddyPower he’s evens, Ladbrokes have him at 2/1. How will the Tories deal with David Cameron – The “EU-realist”? Could he open up some of the old wounds? I wonder whether all the focus on the prospect of “President Blair” and the continued attacks by Labour on the Tory EU partners is actually overshadowing what could be the biggest UK-EU political development of them all – the rhetoric which is coming from David Cameron? This was looked at by the BBC’s Nick Robinson who today has also written a piece about it. Robinson writes: “..The new Conservative approach to Europe will not be to the liking of those Eurosceptics who believe that only a full-blooded battle with the EU will deliver change. 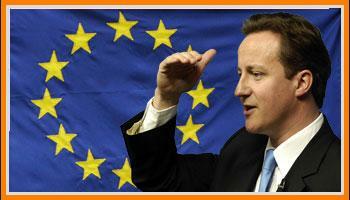 .David Cameron spoke this week of a policy based on “realism not isolationism”. His allies shudder at the memory of John Major’s beef war with Europe. They remember it producing not victory, but messy face-saving compromises. Their aim, one shadow cabinet minister tells me, is to avoid idle threats “to bring the whole temple crashing down”. Instead, the Tories are working on a list of changes they want to see and a list of changes others want which they can block if a Cameron government doesn’t get its way. Clearly before the election the Tories will maintain the discipline on policy that we saw at the Manchester conference which took place just after the Irish referendum. But will that continue after, as seems very likely, they win the election and then have to start dealing with Brussels?